Good Textures keep up the good work. The is (A) to Far Rockaway 95% done, but Railfan is adding more detail to the flats (from Howard Beach to Borad Channel) part of the route. 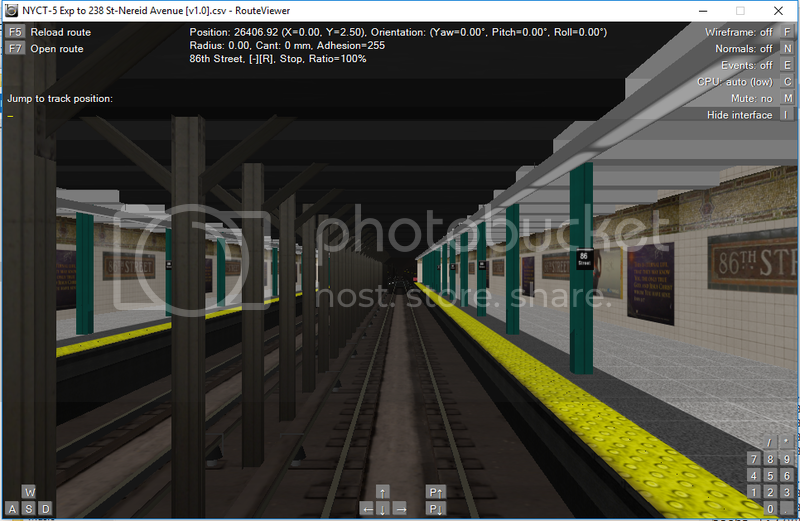 The Rockaway Park Bound (A) is about (85%) done just the rockaway park branch stations is half not detail. Hey Guys I am back to doing some work on routes, I might actually turn up attention on IRT routes in the Bronx meaning I might work on the 2 Line. 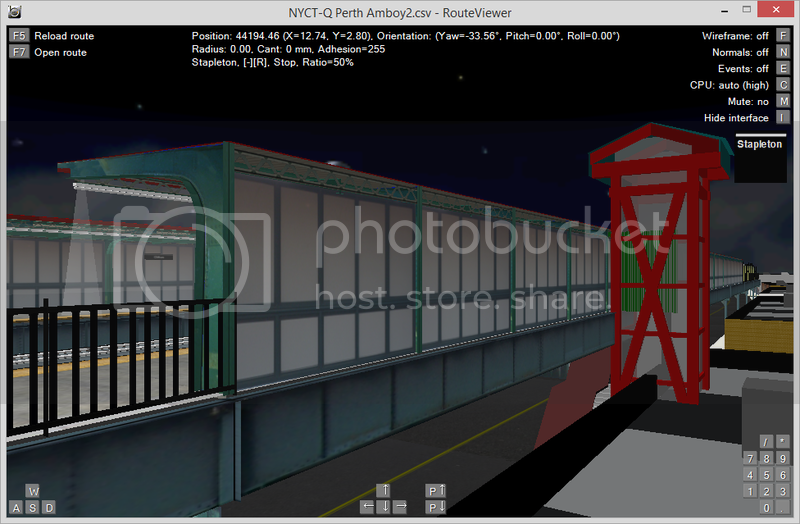 Here is new elevated station rood I made. 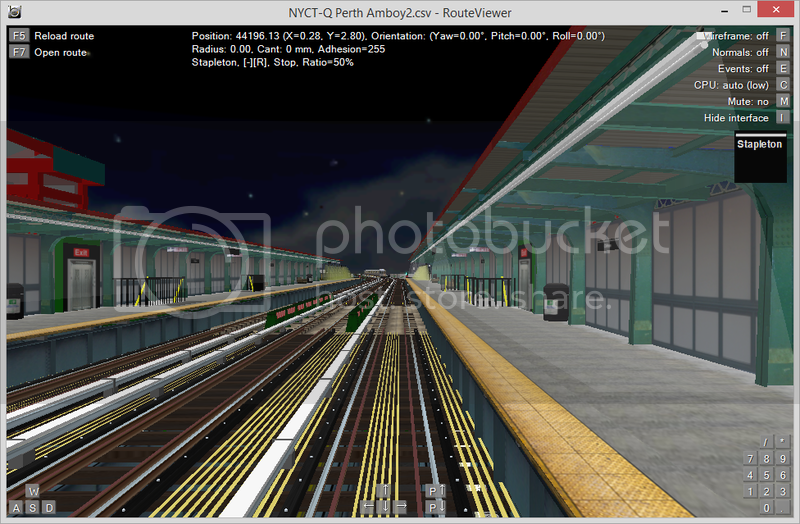 BVEStation Network News / Re: The 6 Line Beta (V1.0) to Brooklyn Bridge has been released! There will be Scenerios based on time of day (IE: Rush hour, Late night etc.) And short turns such as to hunts point, 3av, 125, 86 and grand central. 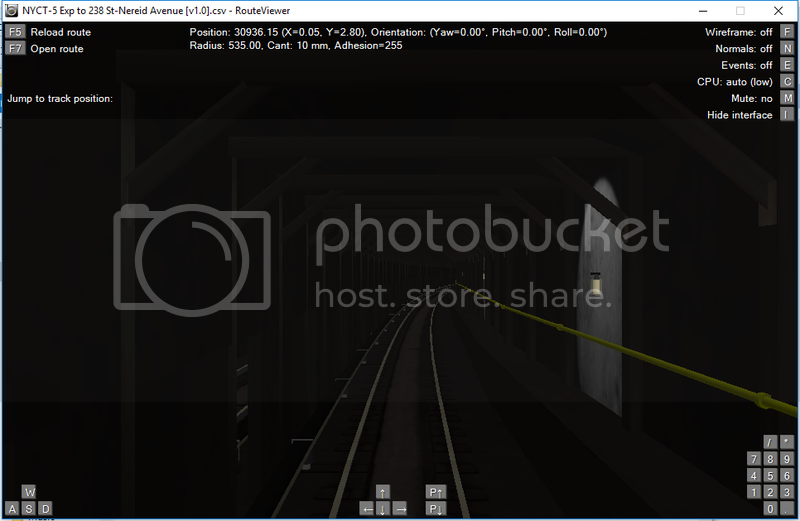 There will also be a scenario with the new experimental shorter automated announcements. There will be 2 versions of manual announcements one male one female. The female one was done by my niece Evelyn Robinson which she on list to be real conductor, list of scenarios done by her. Pelham Bay Park to Brooklyn Bridge Bronx Express. Parkchester to Brooklyn Bridge Bronx Express. 138 St-3rd Avenue to Brooklyn Bridge Bronx Local. Pelham Bay Park to Brooklyn Bridge express in Manhattan and Bronx. Pelham Bay Park to Brooklyn bridge Local. Parkchester to Brooklyn Bridge Local. Hunts point to Brooklyn Bridge Local. All other scenarios that not listed above. BVEStation Network News / Re: The NYCTA D Line has been Updated! Its nice that transit museum still have our openbve routes on their computers. That's kind of an obvious question. Routes are being developed in certain directions since merging lines share the same objects. Notice how the (2)(3)(4)(5) are being developed from Brooklyn. As well as finished lines are going in one direction (A)(B)(C)(D), (F)(V). The developers are working together (4) and (5) lines will be using same object older "Lexington" folder as the (6) lines uses. Thanks for the clarification. And you don't have to release this to make us happy if you feel this could be better. Speaking for myself and some of the community I'm sure we would wait a few extra months or years for a fully finished product thats up to date instead of different versions. I believe we are seeing that with the (E),(4) and (7) routes in development. They have been in development for almost 7 years and I believe part of the reason is not the developers not having time but because the transition from BVE to OpenBVE as well as higher quality routes and photorealistic technology have plagued time. The (4) serves as an excellent example when it was first started half a decade ago it was using non-photo realistic stuff and over that time to now we've seen numerous changes from the station tile, to tracks, to elevators, and beams. by the way I will be resume working on A line soon and will be one of most highly detail route similar routes like the (Q) and (4) lines. 6 Line will be worked on again to add or change features to route that was added/change from 2013 to 2015 like station rehabs, other station modification to reflect the changes NYCT made, Around later this spring (around May 2015) when I get a new camera because my camera was stolen by one of the Railfanners at the UTC meeting, This is one of the reasons why 6 is getting release the way it's. 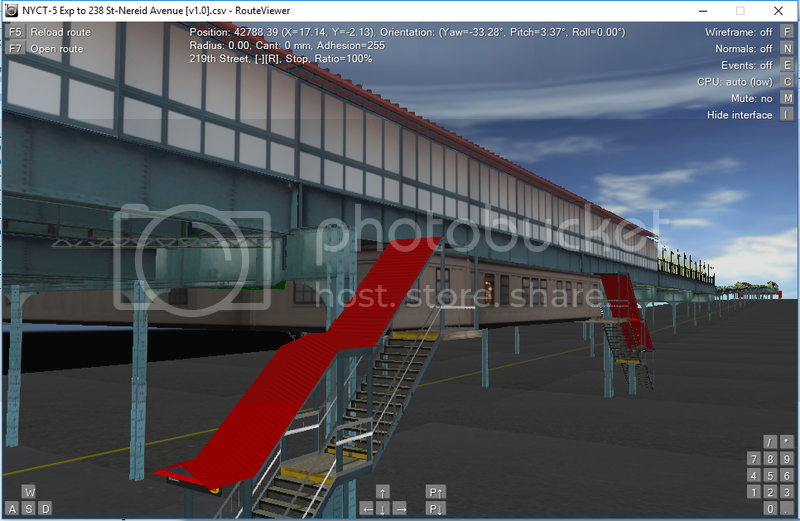 Some stations do look it's 2015 (18 of 38 stations have been upgraded to 2014/15 textures standards). The Route was mostly finished back in 2013 thats one of the reasons, some of the objects came from the 4 line. Bad Behavior has blocked 56613 access attempts in the last 7 days.